SilcoTek's inert, corrosion resistant coatings prevent stainless steel surface interaction with corrosives; extending component life while preventing product contamination. Our corrosion resistant coatings, Silcolloy®, Dursox™ and Dursan®, conform to high tolerances, allowing coating of components without significant change to dimensions or performance. Get our Corrosion Brochure to learn more. Coating wetted pathways significantly improve corrosion resistance and prevent common corrosion related problems. 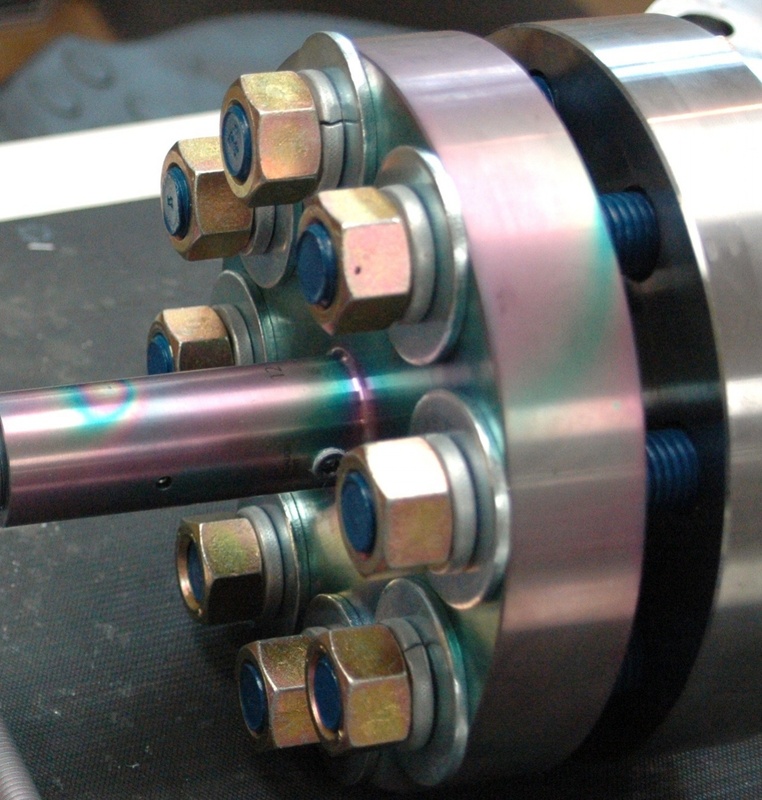 Get more information about how SilcoTek® coatings improve corrosion control. 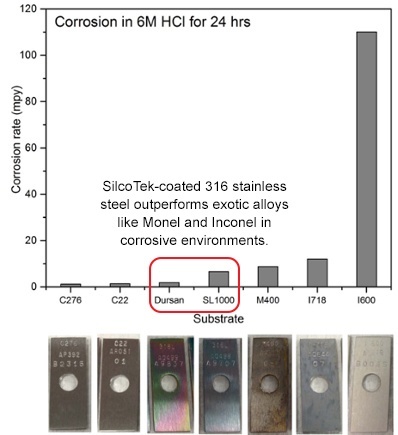 ASTM immersion testing proves SilcoTek® coated stainless steel enhances corrosion resistance by orders of magnitude, matching the performance of super alloys in many applications. Watch our CVD coatings fight corrosion and see for yourself how SilcoTek coatings prevent damage to valuable components, improve productivity, and improve process yield. Our coatings improve corrosion resistance of stainless steel and other metal alloys, but did you know our coatings also prevent aluminum rust and improve aluminum corrosion resistance in a variety of challenging environments?